Pilgrims seat on the left in the first section. A monk sat in the other seat in the small chamber to hear confession. After the Saint's Graveyard we visited The Confessional, a small tomb shrine, which was the highlight of our visit to Inishcaltra. Inside the now roofless building is a small chamber constructed from four megalithic looking stones with a slab stone at the back. 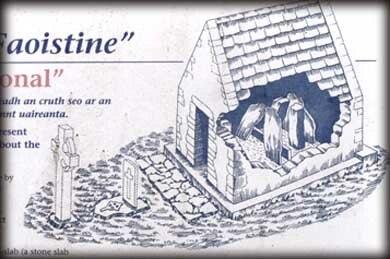 Excavations show the chamber sits on a flagstone platform built over a cist like base. West of here they discovered a small sub-circular cell made from timber. 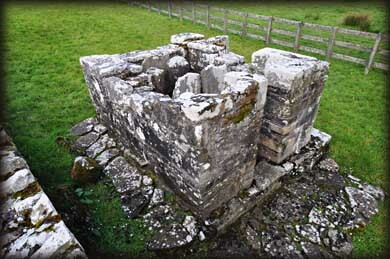 It is suggested this may have been the original tomb-reliquary that was later moved to the stone chamber and enclosed by this small 3 metre by 2 metre wide stone cell. 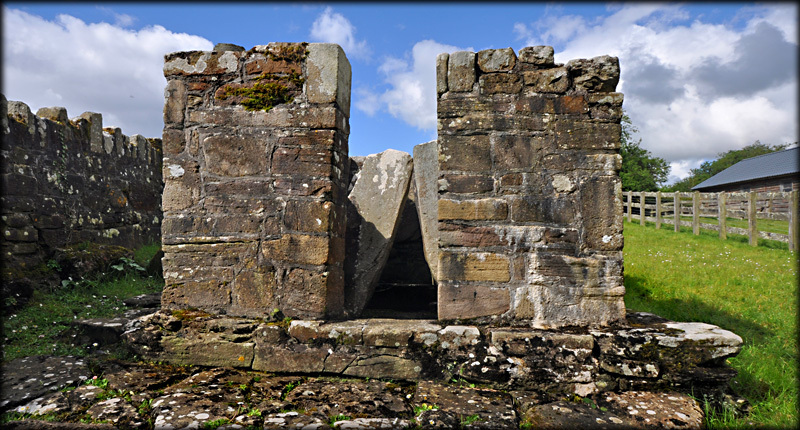 There are two stone seats built into each section of the cell. The monk would collect money from pilgrims who visited the tomb shrine. A cross socket lies in front of the building. 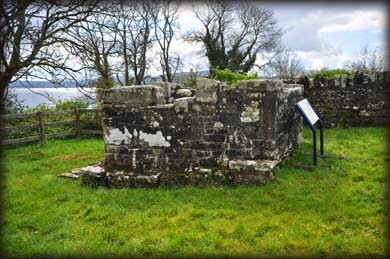 Situated: From St Caimin's church head north and walk around the church,. Keep to the left of the wall at the back of the church. This will bring you to the confessional. Discovery Map 58: R 6988 8507. Last visit April 2012.